Companies > M > MicroWorld Technologies Inc.
Programs from MicroWorld Technologies Inc. 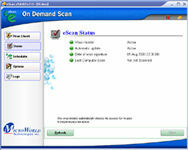 Desktop Anti-Virus and Content Security software for Windows based systems. An Antivirus & Content-Security solution for Workstations & File-Servers. Reliable Virus Scanning software for machines running on Linux.